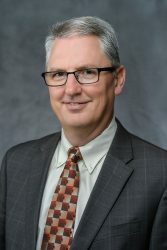 Since the start of his career in 1989, Jim Eichten has specialized in providing accounting, auditing, and consulting services for clients in governmental, nonprofit, and commercial industries, among others. During this time, Jim has provided service to a variety of institutions; helped organizations earn and retain industry certifications, and consulted on financial management issues. In each of these situations, and for every client project, his focus is to provide solutions that are thorough, tailored to clients' unique needs and that adhere to the most stringent standards. To keep his skills current, Jim receives at least 40 hours annually of continuing professional education, a significant portion of which are related specifically to governmental issues. Jim holds a Bachelor of Arts degree in business administration, with an accounting emphasis, from the College of St. Thomas.